The Ayurveda sector, through its existence of 5000 years, has undergone waves of evolution. There is an increased emphasis on lifestyle and wellness, which places Ayurveda at the heart of our lives. 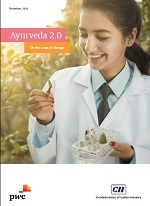 Ayurveda 2.0, which denotes a paradigm shift in core Ayurvedic industries, including Ayurveda hospitals, clinics, products, manufacturers and practitioners using technology as an enabler. Indian companies, by adopting these new models and making use of modern technologies, have made major inroads into retail, wellness and therapeutic markets, and in many cases are even displacing market leaders and weakening the strongholds of international giants. This report published jointly by CII and PwC, provides information on the size of Ayurveda industry in India and its contribution to the economy. 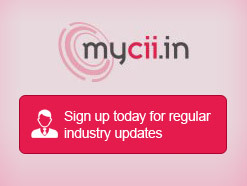 It also identifies the potential areas of investment and the challenges of the Industry. It was unveiled at the Global Ayurveda Summit held from 21 - 23 November 2018 at Kochi, Kerala.